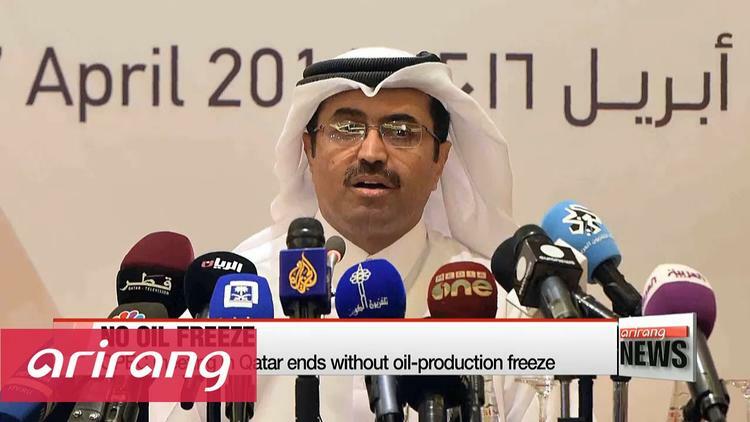 Oil producing countries meeting in Doha failed to reach an agreement to freeze output. They may meet again in June. OPEC and non-OPEC producers on Sunday failed to reach a deal to freeze oil output, three oil industry sources told Reuters. Sources said OPEC producers had told non-OPEC members they needed first to reach a deal within OPEC, possibly at a June meeting. After that, the Organization of the Petroleum Exporting Countries will be able to invite other producers to join. Earlier in the day, Saudi Arabia demanded that Iran join a global deal on freezing oil output, blocking an agreement between OPEC and non-OPEC producers that was supposed to help ease a glut and prop up the price of crude. Some 18 OPEC and non-OPEC countries, including Russia, had been meant to meet on Sunday morning in the Qatari capital of Doha and rubber-stamp a deal —in the making since February — to freeze output at January levels until October 2016.